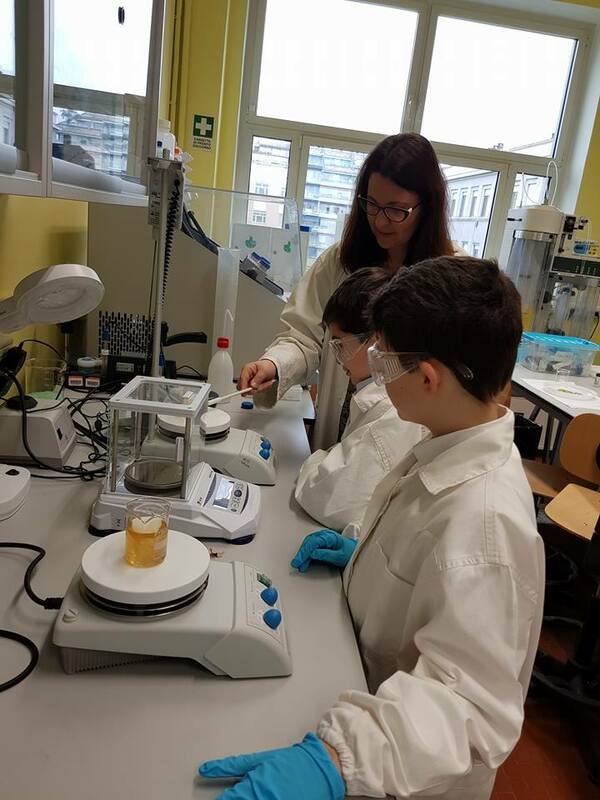 In March the ERC laboratory situated in the Politecnico of Torino, belonging to the Prof. Chiara Vitale Brovarone, opened its doors to a new type of researcher: kids from a Turin elementary school. The kids could discover the science principles in a funny way and use the laboratory equipment (SEM and micro-CT) to analyse common-day objects as well as more scientific ones. A section of the episode of the program “Superquark”, transmitted on the Italian national television on the 1st August 2018, has been dedicated to the innovative approach of BOOST project for the treatment of osteoporosis, disease that hits a high number of people worldwide. You can watch the video of Superquark concerning the BOOST project by clicking on the YouTube link (interview in Italian). On the 30th November 2016 the BOOST ERC laboratory has been inaugurated in presence of the Rector of Politecnico di Torino, Prof. Marco Gilli, of numerous academic figures and of the press. The laboratory has been equipped with the most up-to-date analytical and experimental instrumentation and a workshop has been organized to illustrate its main use and its potential in the research field. Prof. Chiara Vitale Brovarone with her team partecipated to the event "Istantanee dalla ricerca", an initiative promoted by Fujifilm. In this contest, several research groups have send a rapresentative image of their research activities taken by a Fujifilm camera. 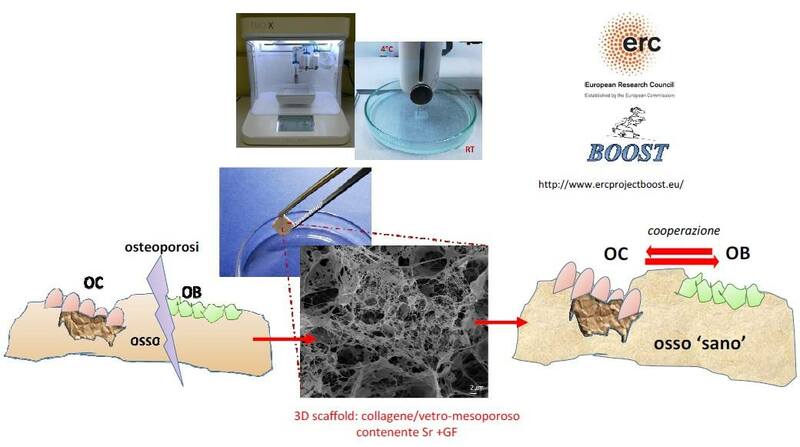 Prof. Chiara Vitale Brovarone took the opportunity to illustrate her ERC BOOST project for osteoporosis treatment. The newspaper clipping is visible above. Interview of Prof. Chiara Vitale Brovarone at the Italian TV program "TG regione" in the context of the Woman's Day, where she illustrated how she could combine the professional career as university professor with her role of mother and woman. During the interview she presented the ERC BOOST Project idea and the activities foreseen in it. The interview is visible by clicking on the YouTube link (in Italian). Interview of Prof. Chiara Vitale Brovarone at Prima Radio concerning the ERC BOOST Project idea and the team that will work on it. On the 13th February 2016 in the Italian newspaper “La Repubblica” an article has been dedicated to the achievement of the prestigious ERC Consolidator Grant by prof. Chiara Vitale Brovarone from Politecnico di Torino. 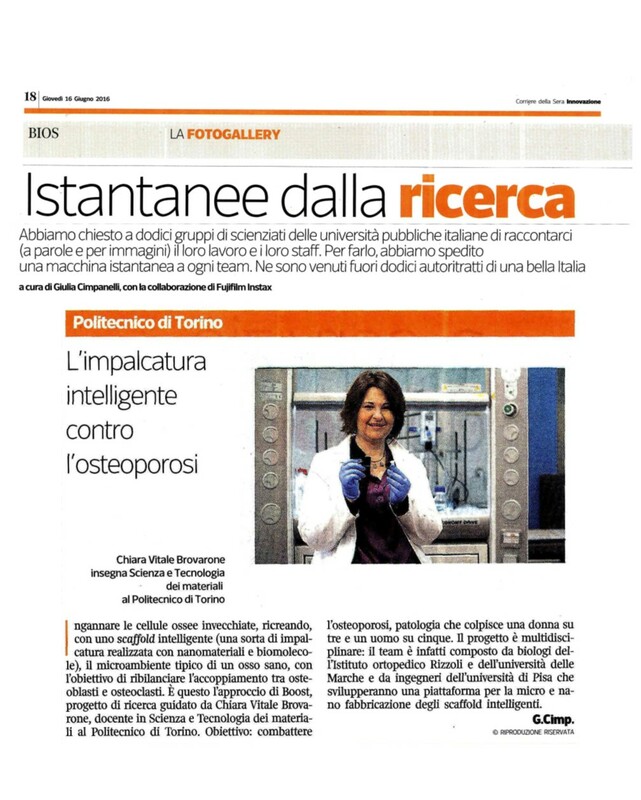 In the article published by the Italian newspaper “La Stampa” on the 13th February 2016, prof. Chiara Vitale Brovarone explained her innovative and engineered idea for osteoporosis treatment through the employment of advanced biomaterials. On the 14th March 2016 Politecnico di Torino organized in the Castello del Valentino the ERC Day: a day dedicated to the presentation of the ERC grants to young researchers, giving also some advices for achieving them. In this frame, Prof Chiara Vitale Brovarone illustrated her successful experience in the achievement of the ERC Consolidator grant.